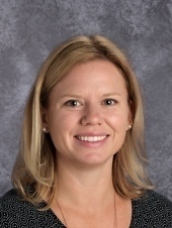 At their March meeting, the Koshkonong Trails Governance Board found their ideal candidate for the inaugural year in science teacher, Laura Emrick. Emrick is no stranger to the Cambridge community; she currently teaches at Cambridge High School as a key member of the science department where her primary focus has been on freshman Biology. She is an avid outdoors person who spends a significant amount of time outside of school exploring the many trails that surround the South-central Wisconsin area. Additionally, Emrick has a participated in a variety of environmental research projects during her time at UW Whitewater. Throughout her time in the school district, she has routinely engaged students in similar experiences in an effort to bring the content to life. Many of those experiences focused on the new home of Koshkonong Trails, Severson Learning Center. In the past, Emrick's students have conducted research on biodiversity using different tools. Whether analyzing tracks or using cover boards for snake studies, Laura has shown that she is comfortable exploring the natural world with her students and supporting them through investigations that are of particular interest to them. She hopes to be able to continue her environmentally focused projects with interested students at Koshkonong Trails as well as expand her reach into the agricultural-focused projects of gardening and animal husbandry on the farm. Even with the vast environmental knowledge and experiences that she brings to the table, Emrick's teaching philosophy is what most excited the Koshkonong Trails Governance Board. Well known by students and staff as a teacher who inspires student success through her passion for the content and the relationships she builds with students, Emrick verbalizes her own ideas by stating, "I believe that every student is teachable. You must, through building a personal relationship, find a way to reach each student. Not every student can be transformed into a leading scientist, developing cures or solving the energy crisis, but I believe that every student can be transformed into a life-long learner and be inspired to develop a passionate, purposeful life." This echoes the first point of the Koshkonong Trails mission to create students who have direction and passion for their future. The Governance Board feels fortunate to have found a teacher who believes in the mission and vision of the school and who is eager to be a part of creating new opportunities for students in Cambridge and the surrounding areas. We would like everyone to join us in welcoming Laura Emrick into the school community. We can't wait to see where she takes our students in the fall.